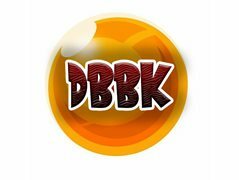 To put it simple, Dragon Ball BK(BeelzeKing) Is a fan story that revolves around the idea of the Omniverse being in mass danger... Our story takes place just after the events of the Broly movie, after the Tournament of Power is completed every universe is restored by the power of Super Shenron; doing this restored power to a deleted universe that souly contained one being, Beelzeking! The brother/sister to Zeno, matching in strength and omnipotence the two once designed creation itself but Beelzeking wanted to toy with the universe in a more disgusting manner, with the help of Zeno's angels he decided to imprison his brother/sister in a pocket universe and erasing it from the physical realm. But now, he/she returns with a lust for anger, wanting to warp history and distort time he begins to work slowly on laying the seeds of hate. This will be a audio-comic with illustrated drawings to match the scenes taking place. This will be a semi-unpaid project, based on profit share. Roles will be given money if money is made! D) A basic knowledge of the DBZ franchise. While this is an unpaid project we can offer: A full copy of the final product, credits for the piece and future opportunities within the company. A demonic creature with a mass amount of power, the main evil to this story. Not looking for a specific voice, personal interpretation is great! The God of Destruction, a cat like creature with a extremely short temper, this character exists in the official release, so those auditioning may want to refer to the original voice for inspiration. This can be found by searching "Beerus talking" on YouTube. The Angel to the God of Dustruction, a very light person with a soft sounding voice. Also exists in the official release and can also be found on YouTube for inspiration. Zeno is the Omni-king, practically the overall creator/god of this story and the highest diety, his power is disguised by a very child-like attitude. Inspiration for Zeno can be found on YouTube. The prince of all Saiyans, Vegeta is a hot headed powerful Saiyan who holds his pride close to him. Inspiration for his voice can be found on YouTube. Karos, a very soft spoken, timid young lady who speaks fearfully. She is very underestimated as she was souly created to help her brother and Goku save the universe from BeelzeKing, Similar to BeelzeKing she is an original character, so the voice is your own choice.